Donald Driver is a former professional American football wide receiver as well as an author of New York Times bestselling. Moreover, he is also the champion of the season 14 Dancing with the Stars. He played college football at Alcorn State University. Later, Green Bay Packers picked him in the seventh round of the 1999 NFL Draft. 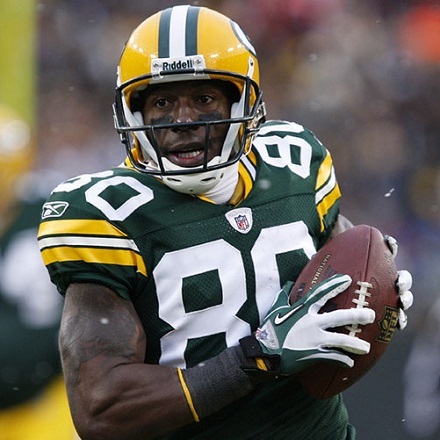 Donald Driver was born on February 2, 1975, in Houston, Texas, United States. His parents are Marvin Driver Jr. and Faye Gray. He is the middle child among his five siblings. His parents divorced when he was at the very young age. After his parent's divorce, he lived with his mother. However, it was very hard for his mother to run the family. So Driver and his brother Marvin III began stealing the parts of the vehicles and selling drugs. Later he started living with his grandmother and attended the Milby High School in Houston. He started playing football during his school days and was also interested in playing basketball and baseball. He completed his graduation from Alcorn State University. During his school days, Driver played as a wide receiver, defensive back, and kickoff return positions. However, he continued playing football in his college as well. While playing college football, he was able to be the five-time "Athlete of the Year". He is also one of the most decorated track athletes in the NFL history. Because of his highest jump, he was qualified for the 1996 Olympic Field Trials. He earned all-conference honors in the high jump while playing for Alcorn State Braves. He is also one of the most decorated track athletes in the NFL history. Because of his highest jump, he was qualified for the 1996 Olympic Field Trials. He earned all-conference honors in the high jump while playing for Alcorn State Braves. He started his professional career in 1999. Green Bay Packers drafted him in the seventh round of the 1999 NFL Draft with 213th overall pick. In the middle of 2006, he made the highest catches in the NFL. However, he set his career's best yard in November 2006 in the match against Minnesota Vikings. In the end of 2006, he entered in the top 5 of the league. In 2007, he created a new record for longest pass. With 596 catches, Driver became his team's all-time leading receiver in catches. After his excellent performance, he was selected for 2007-2008 Pro Bowl. Because of his excellent performance, his team got the victory over Detroit Lions. On September 18, 2011, he broke the record of the Packers by catching a 10-yard pass from Aaron Rodgers. In the tournament at Super Bowl XLV, Driver suffered an ankle sprain on February 6, 2011. Well, he returned to the game in the end of the final plays and his team won the tournament against Pittsburg Steelers. After spending his entire career with Green Bay Packers, he announced his retirement on ESPN2 Mike and Mike in the morning. However, Green Bay Packers hosted a public retirement ceremony for Driver on February 6, 2013. 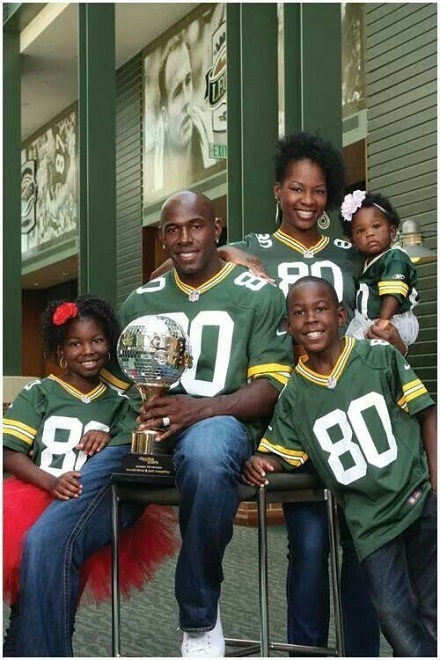 Donald Driver is a married man and has three children. He is married to Betina Driver. They have three children Christina, Cristian, and Charity and is happily living his married with wife and kids. He gives his equal time to the family and his profession. The driver often makes his appearance in the public along with his family members. Furthermore, there are no any rumors related to his divorce so far. He belongs to American nationality and falls under black ethnic group. Donald Driver is one of the richest players with a good net worth and salary. Well, his current net worth is $16 million. He must be satisfied with his net worth. His net worth is sure to be increased in coming days.